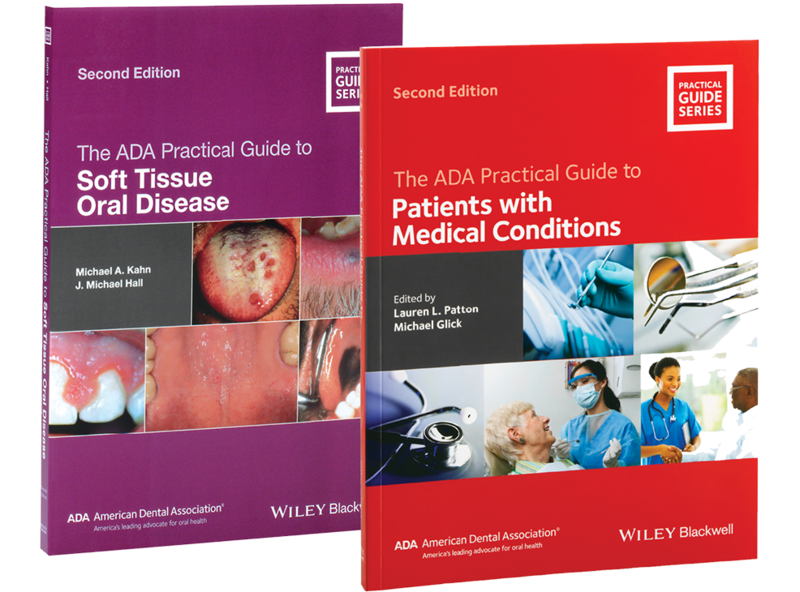 The ADA Clinical Kit includes two valuable books to aid in clinical diagnosis and treatment: the ADA Practical Guide to Patients with Medical Conditions plus the ADA Practical Guide to Soft Tissue Oral Disease, at a savings of $20 off individual prices. The Soft Tissue Oral Disease new second edition book takes readers through screening examinations, description and documentation, differential diagnosis, and guidelines for observation and referral. Well suited as a clinical handbook or review guide, it is replete with color photos, case studies and discussion, along with synopses of best current treatments based on up‐to‐date literature. Patients with Medical Conditions updates all the protocols and guidelines for treatment and medications and adds more information to aid with patient medical assessments. The book clearly organizes individual conditions under three headings: background, medical management, and dental management. Written by more than 25 expert academics and clinicians, the evidence-based guide takes a patient-focused approach to help practitioners deliver safe, coordinated oral health care for patients with medical conditions.